Last March BBC launched its Make It Digital programme. 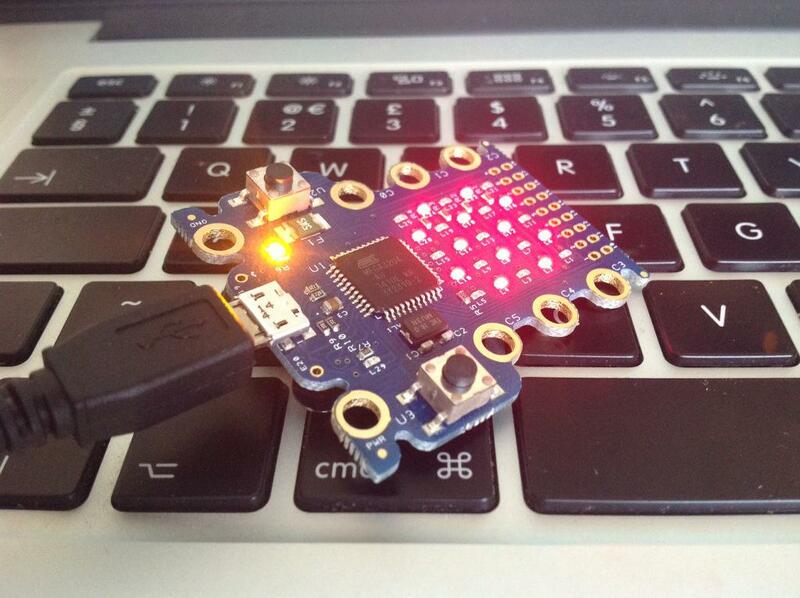 It has partnered with 25 organisations to create a small programmable device nicknamed the Mircro Bit that, later this year, will be given out to every child in year 7 in the UK. As one of the 25 official partners, CDS will support this fantastic endeavour by creating and testing teaching and learning resources to help teachers and students make best use of what the Mirco Bit has to offer – an excellent opportunity for kids to discover, co-create and shape the reality of the Internet of Things. Tomorrow, as part of the Digital Enhancement Staff Development Programme at the University of Arts London, we will have an excellent opportunity to talk about the students designing and solving interesting problems using bits and bytes and wires. We will share fascinating outcomes of the latest HackED 2015 and, in that context, we will present a prototype of the Micro Bit sharing our insights of what we think the kids will be able programme.